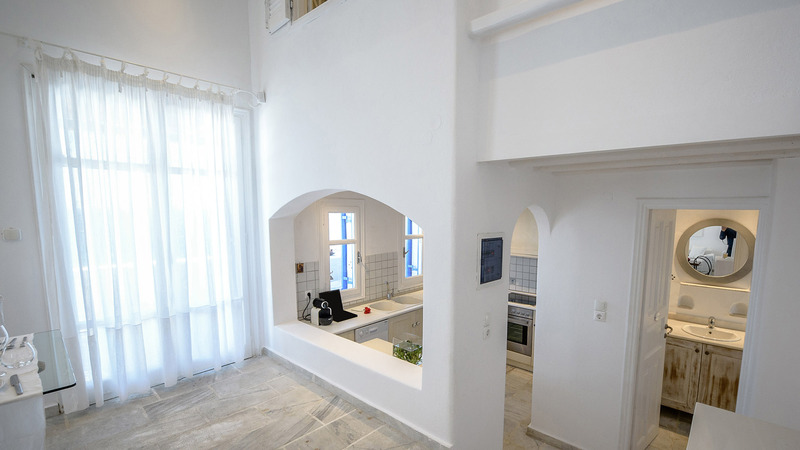 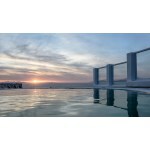 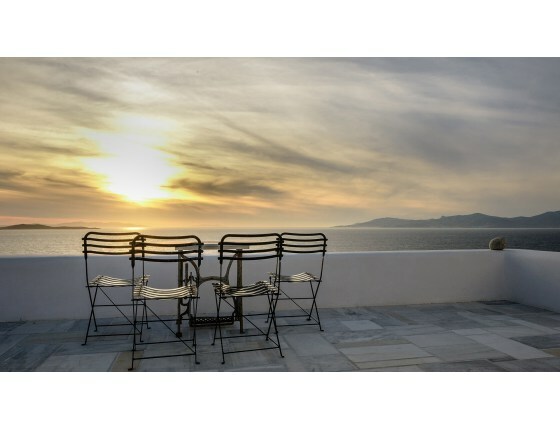 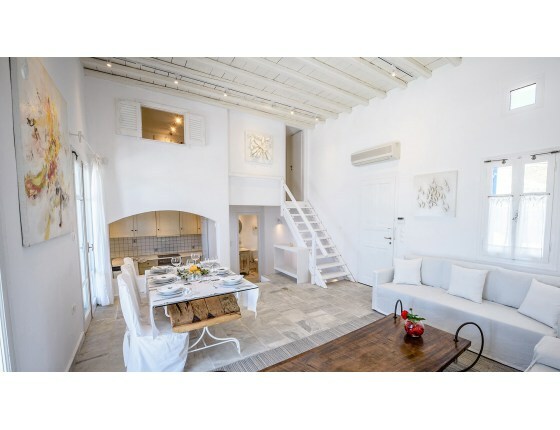 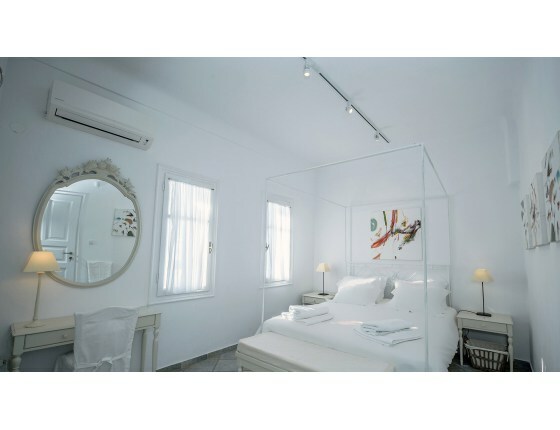 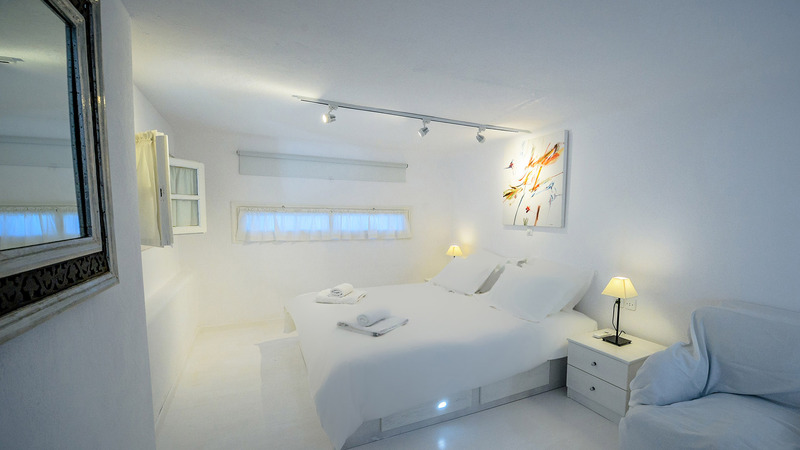 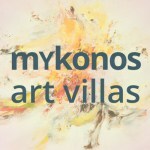 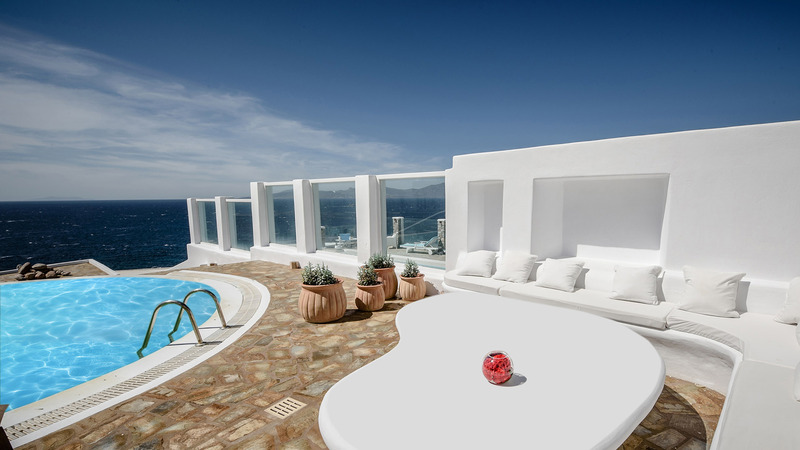 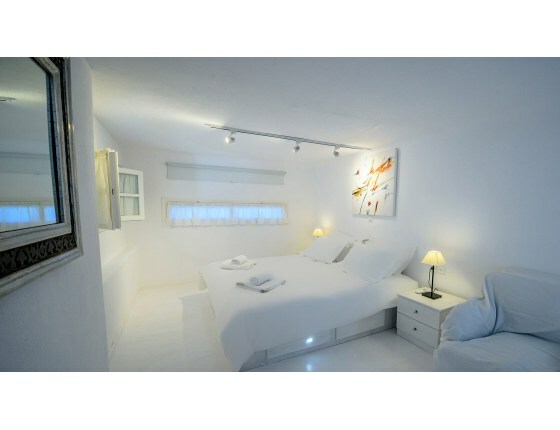 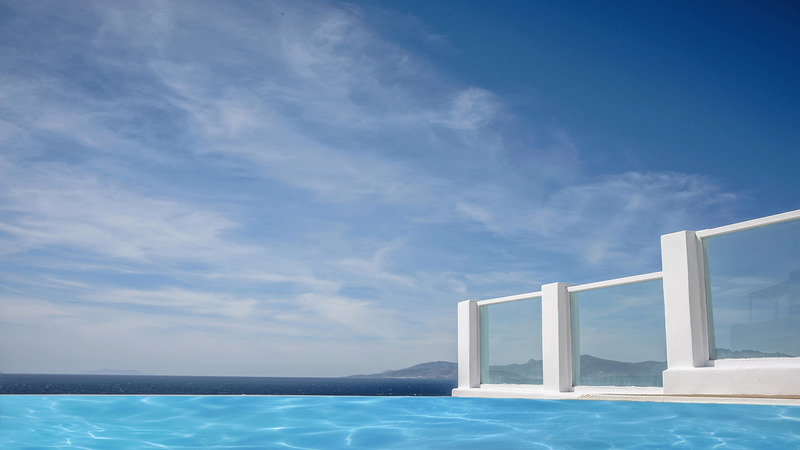 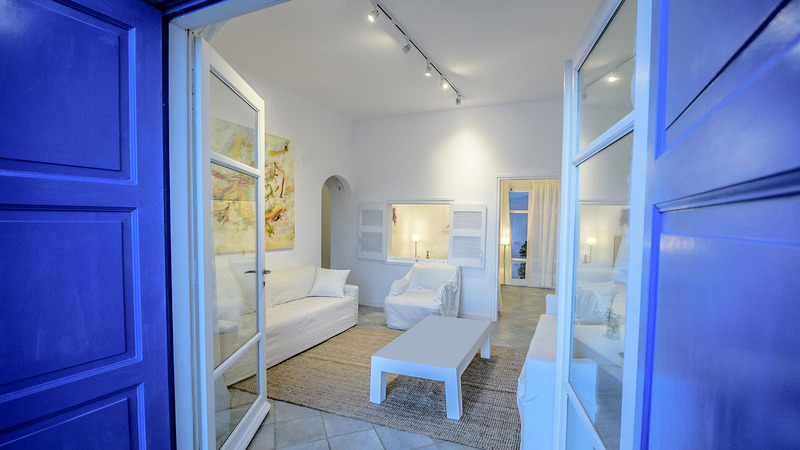 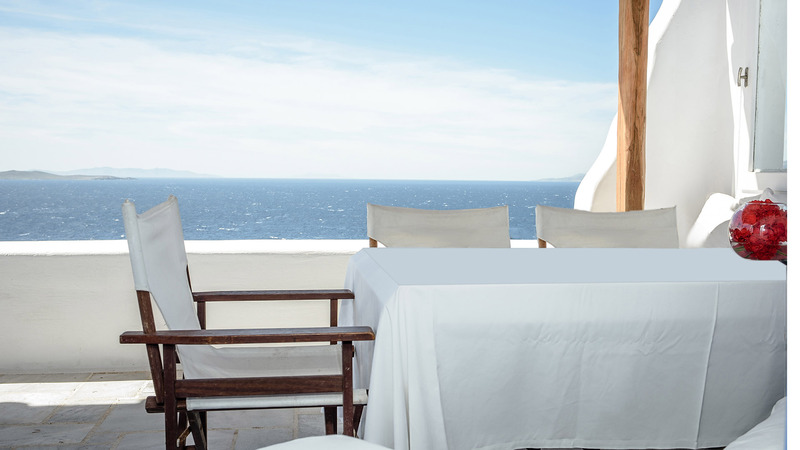 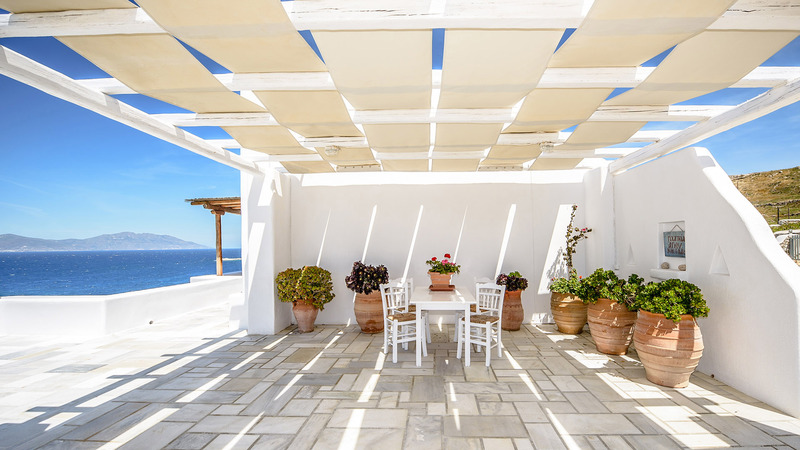 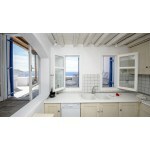 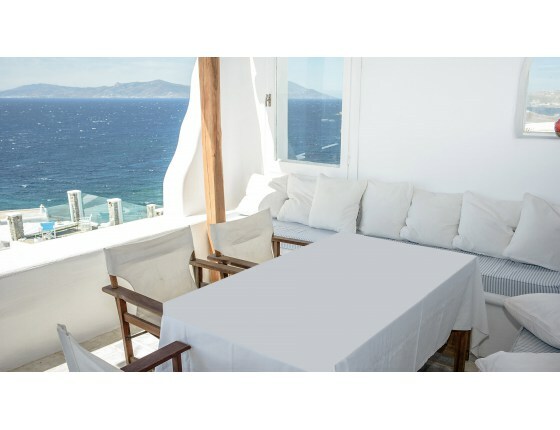 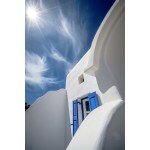 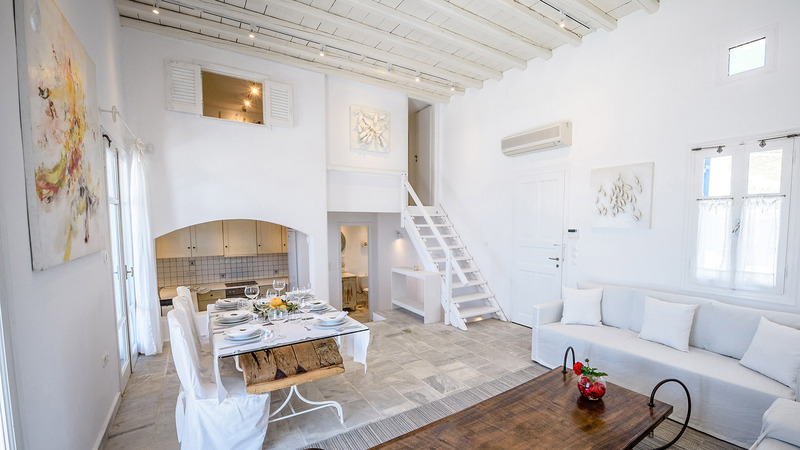 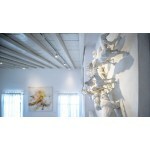 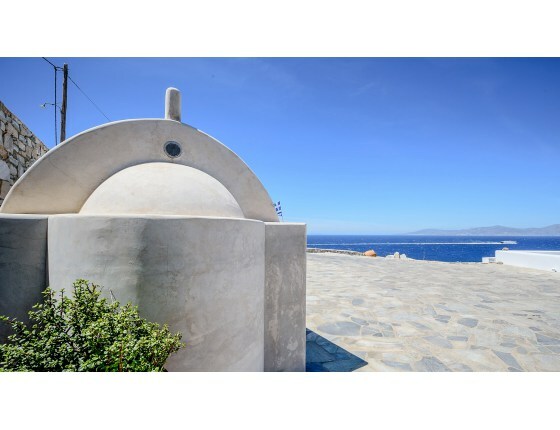 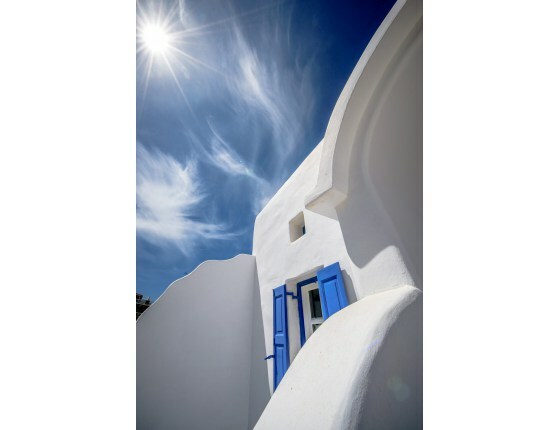 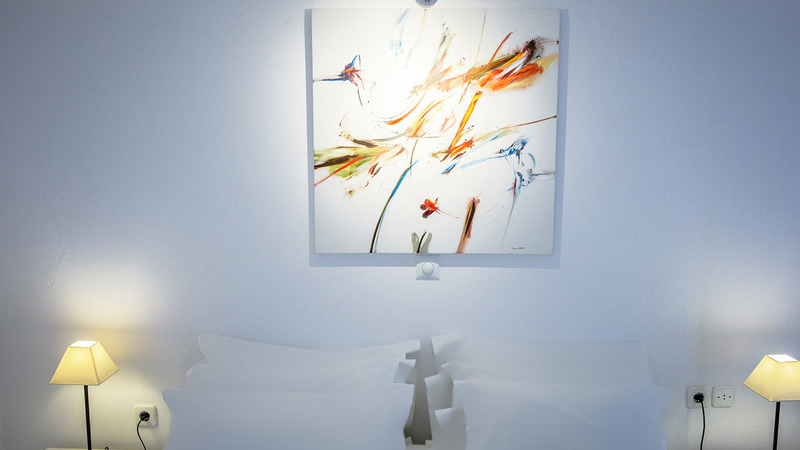 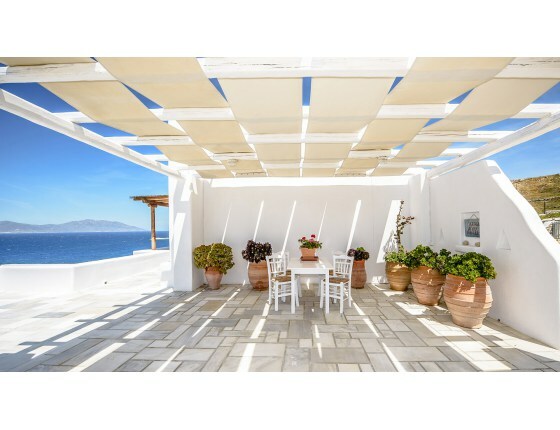 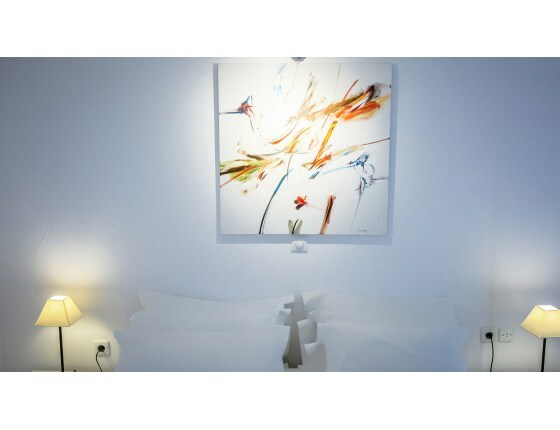 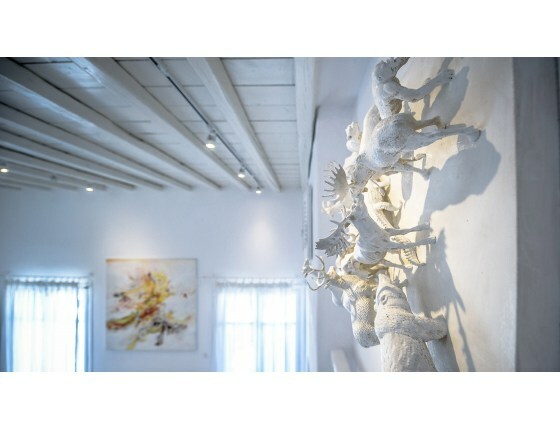 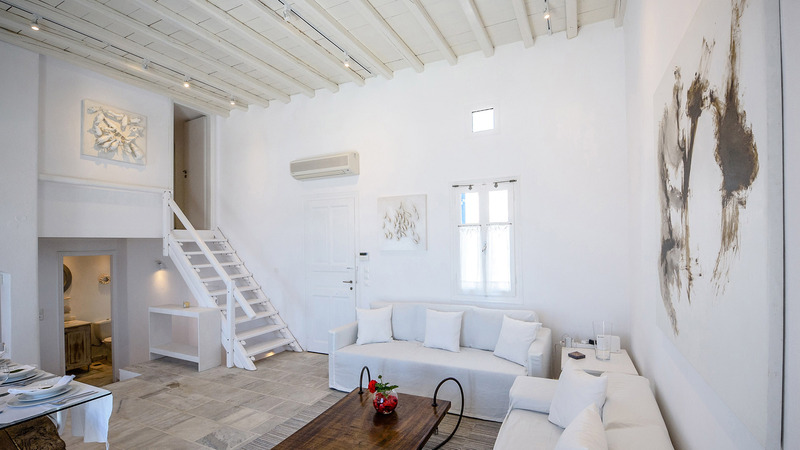 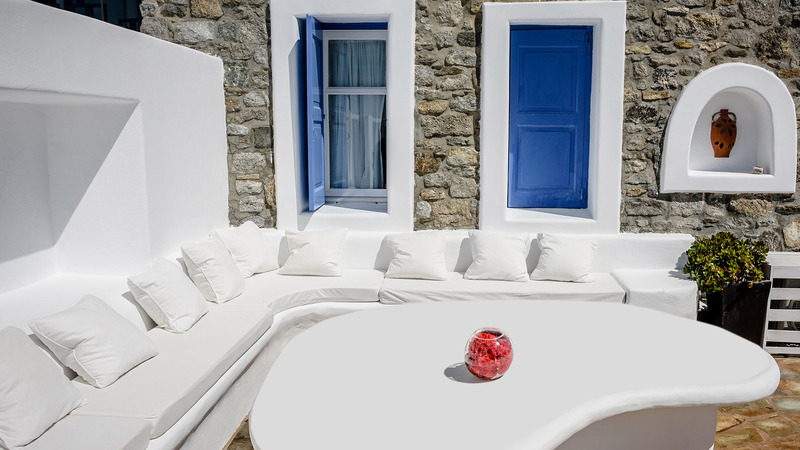 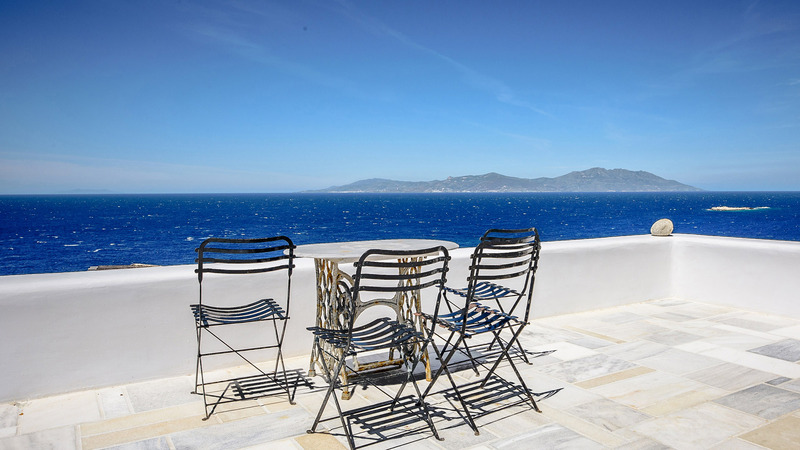 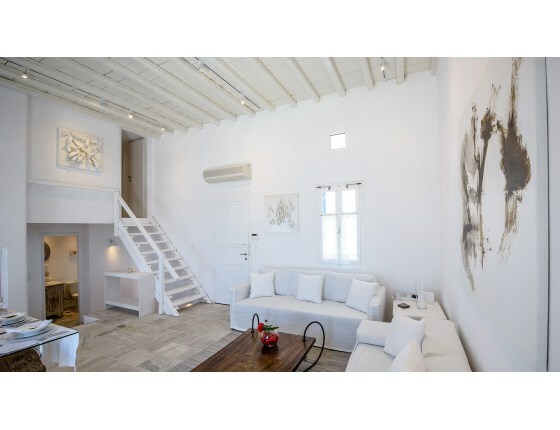 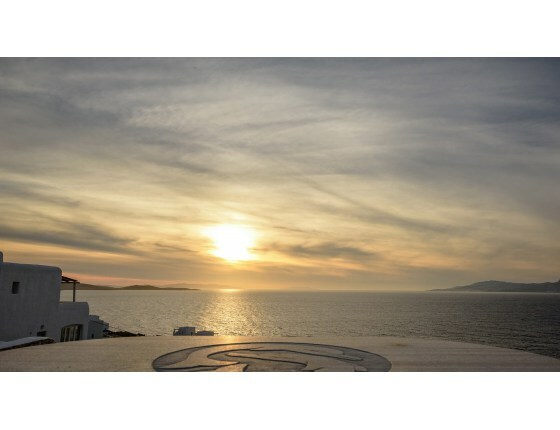 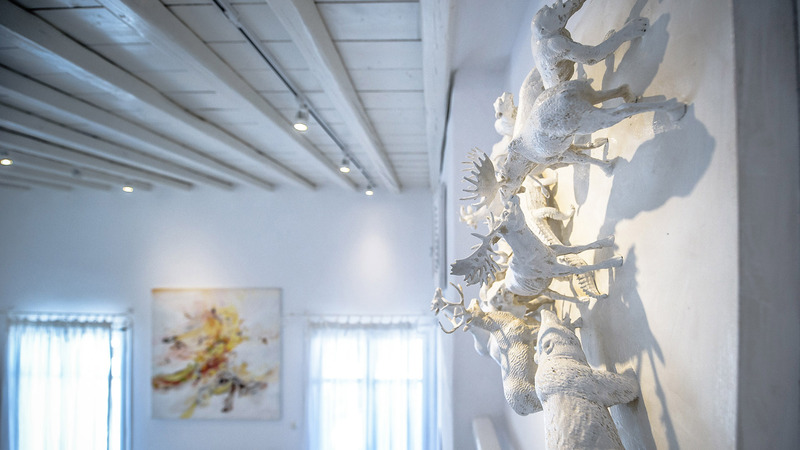 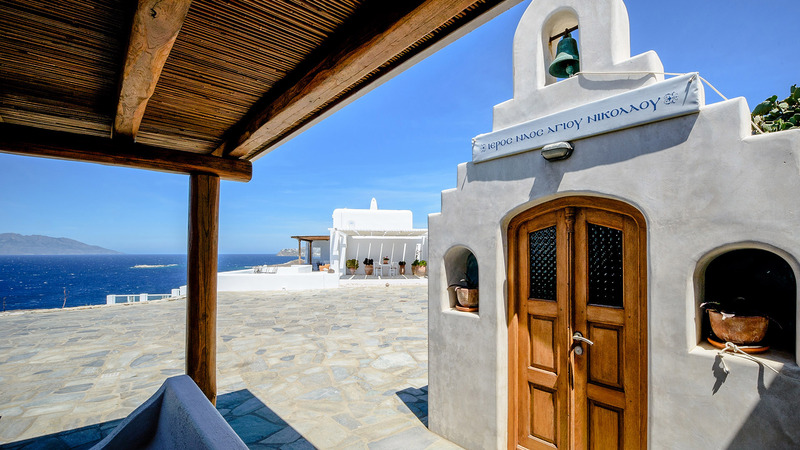 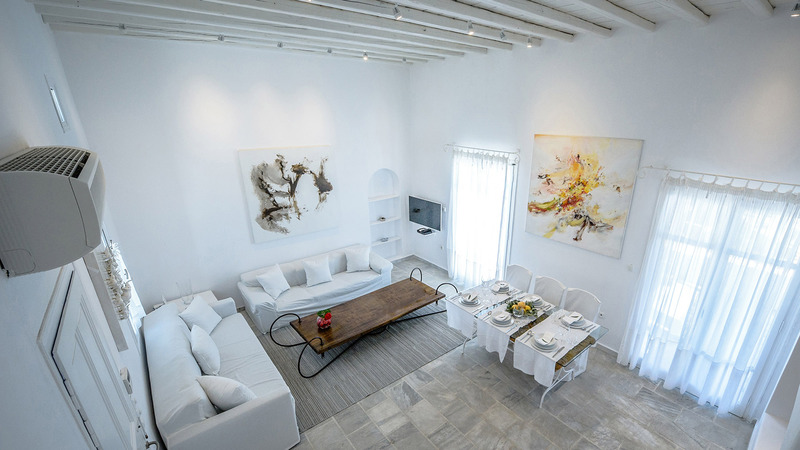 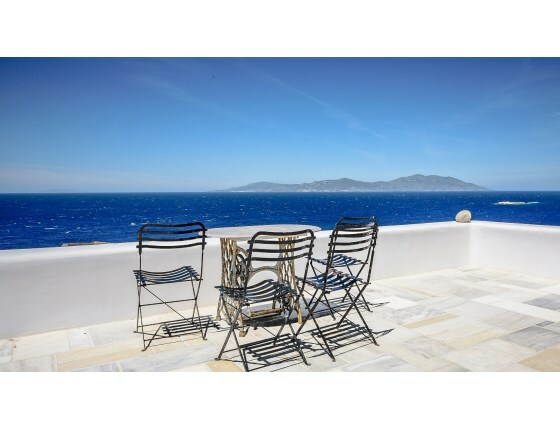 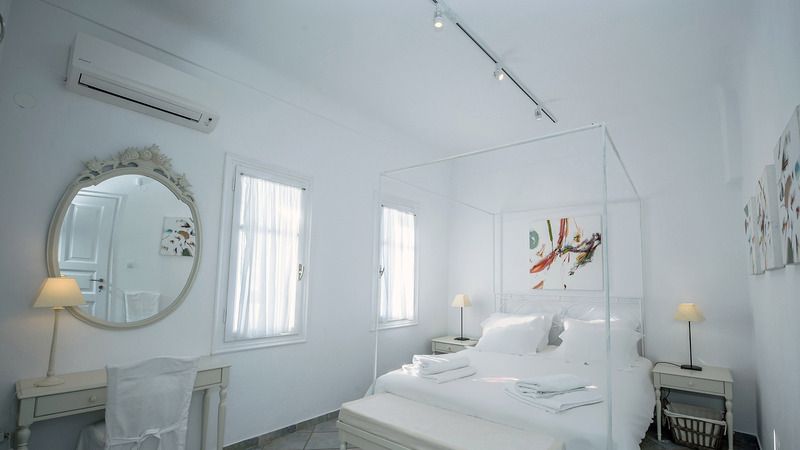 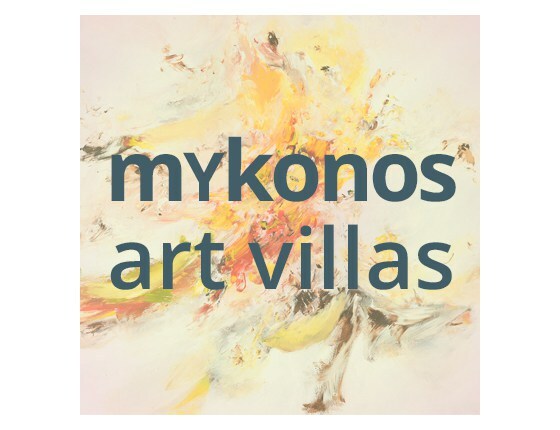 Mykonos art villa is a 200m2 luxurious residence containing original art paintings in all rooms and lounges. 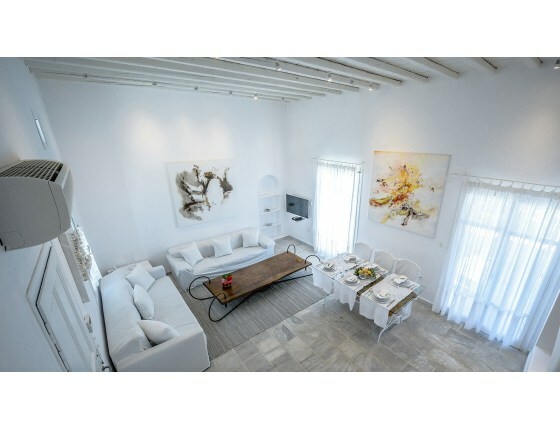 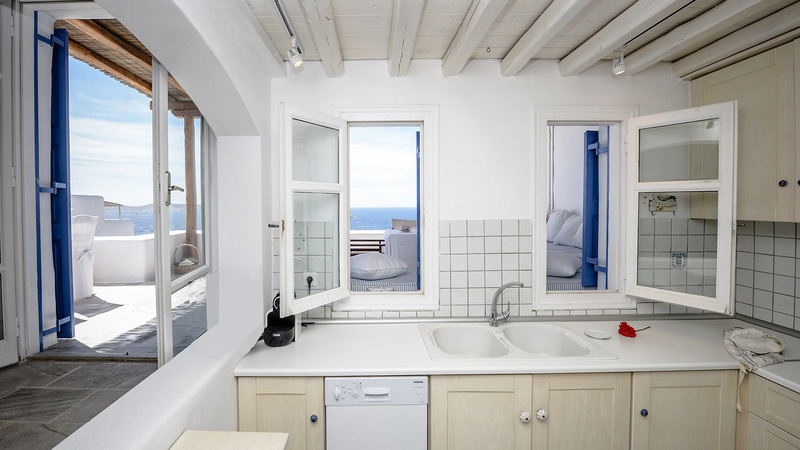 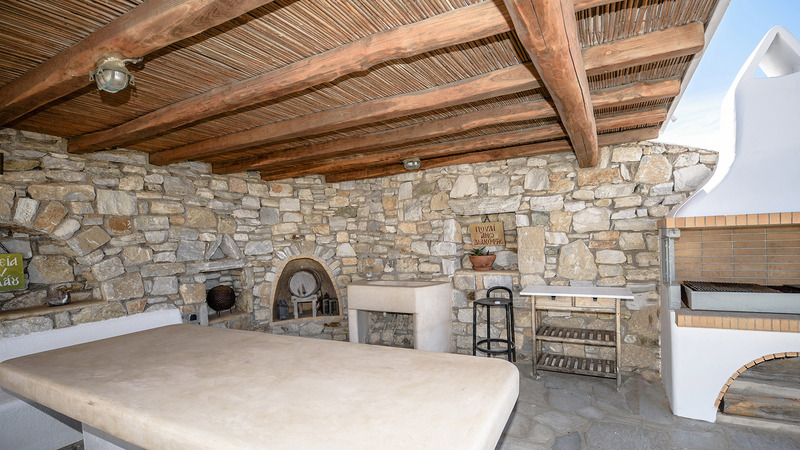 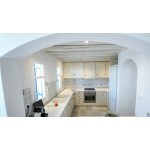 The villa is comprised of 2 living rooms, 5 double bedrooms. 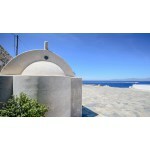 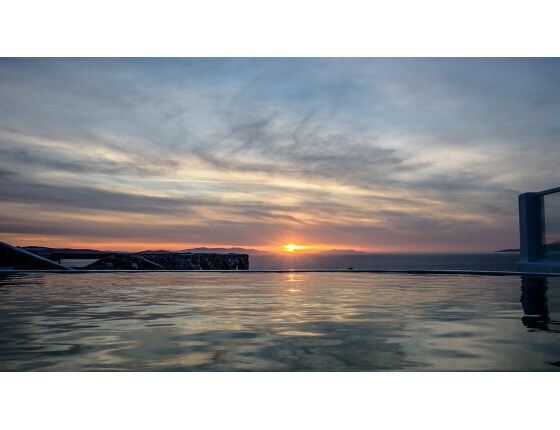 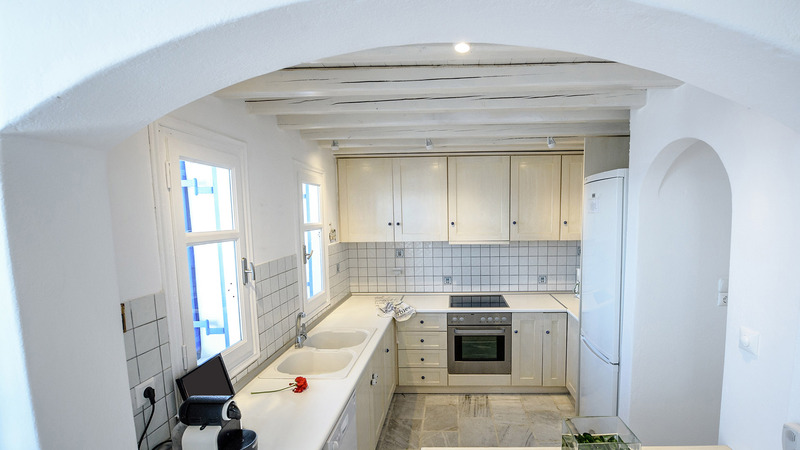 3 bathrooms, 2 kitchens, 6 outdoor sitting areas (3 with pergolas), a BBQ, a little church and a big swimming pool. 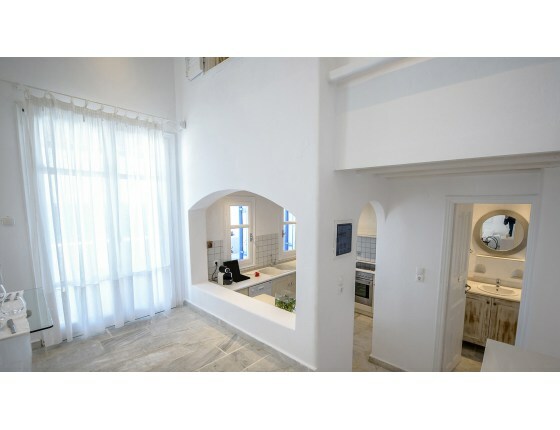 Of the 5 bedrooms, 4 are located in the main 2-floor house and 1 is autonomous and independent, located around the private pool area. 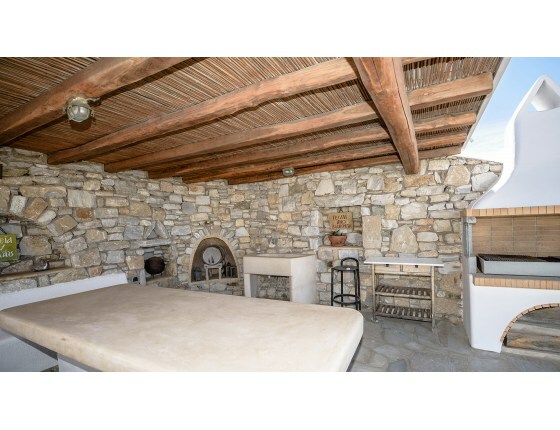 The villa sleeps 10 people in the 5 rooms, but using the 3 sofa-beds of the 2 living rooms, 6 more people could be accommodated. 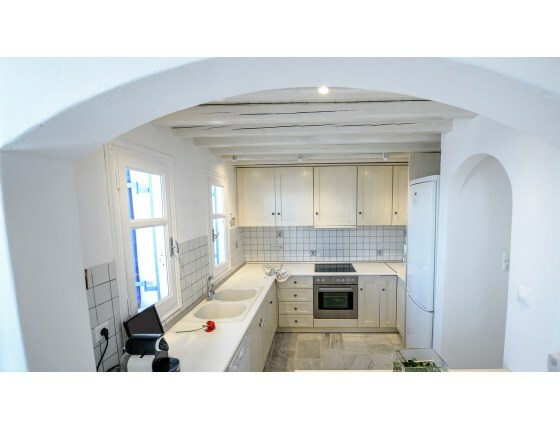 Therefore the theoretical total number of persons accommodated is 16. 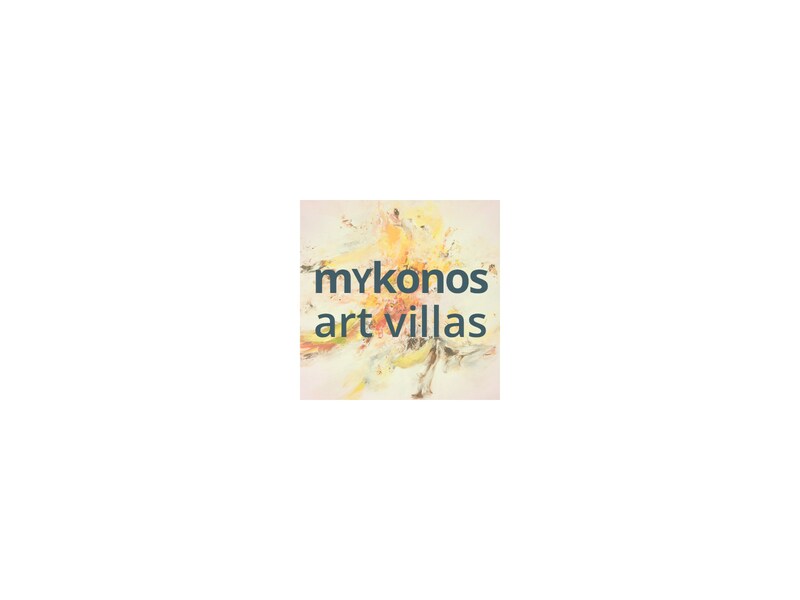 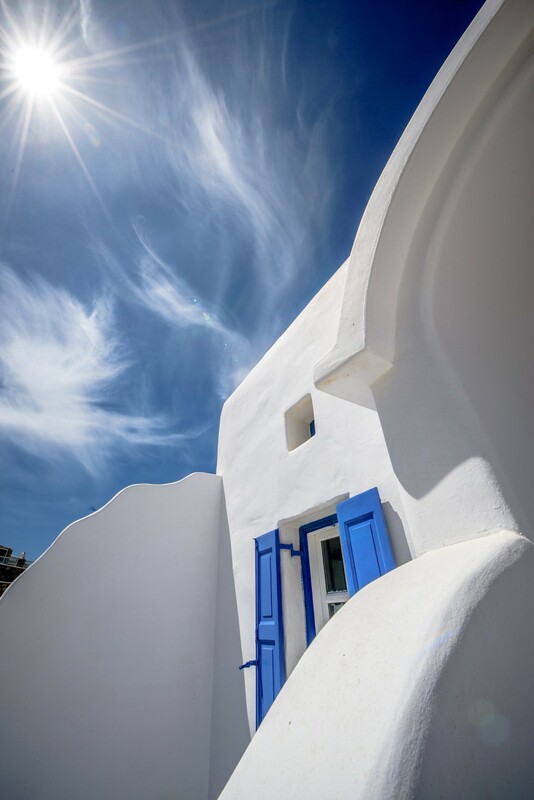 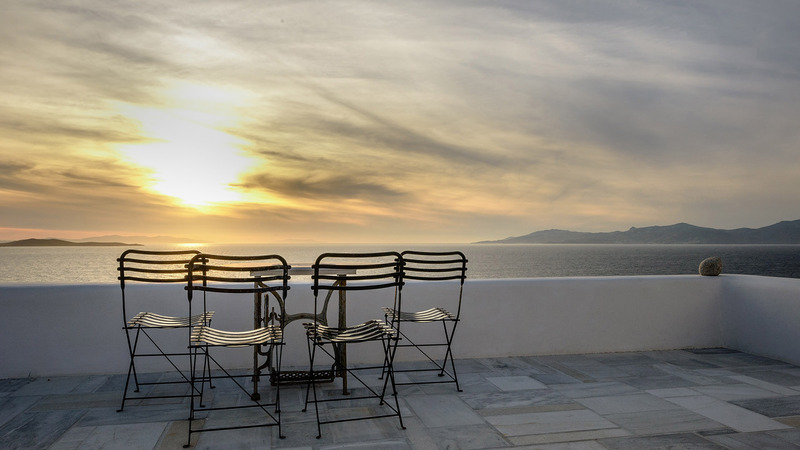 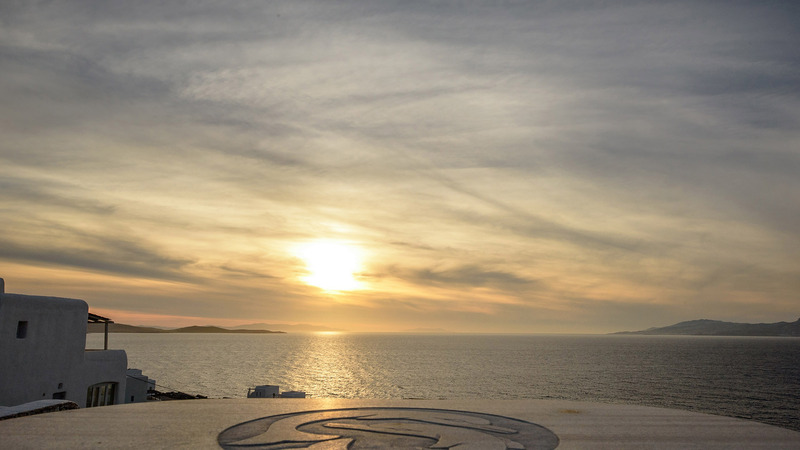 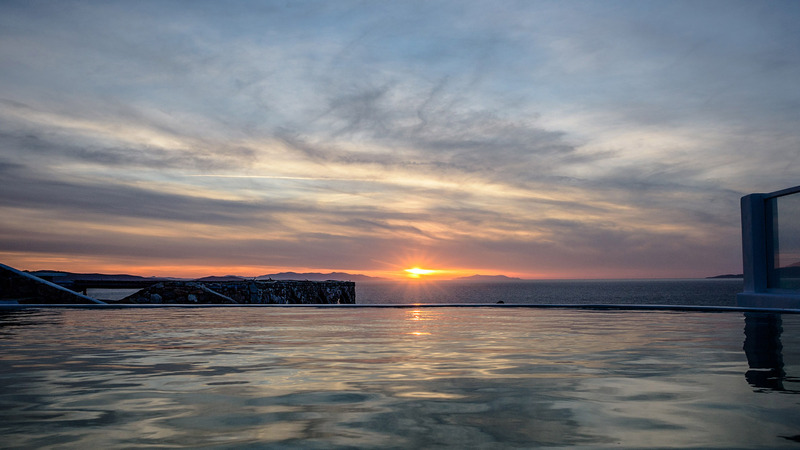 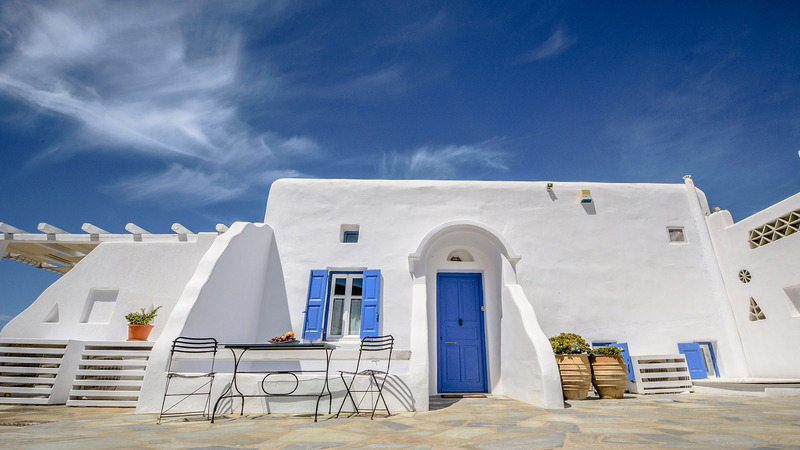 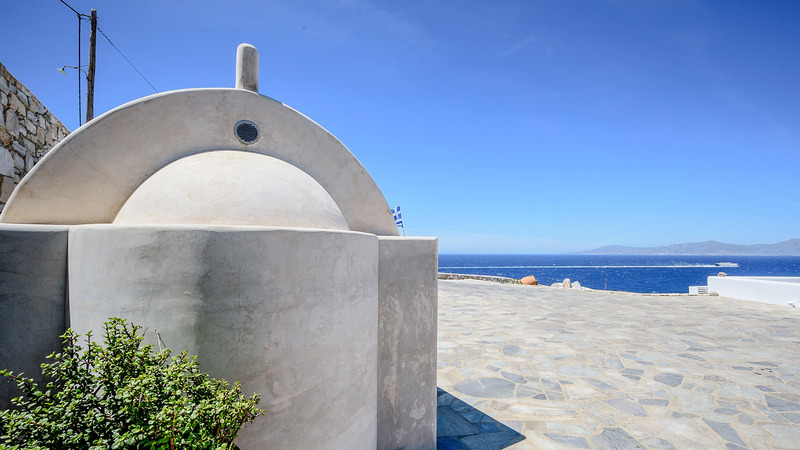 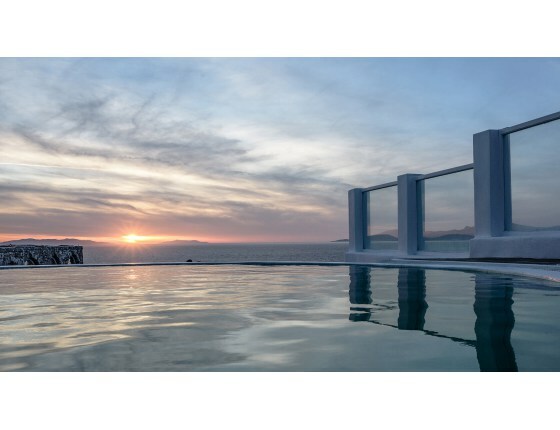 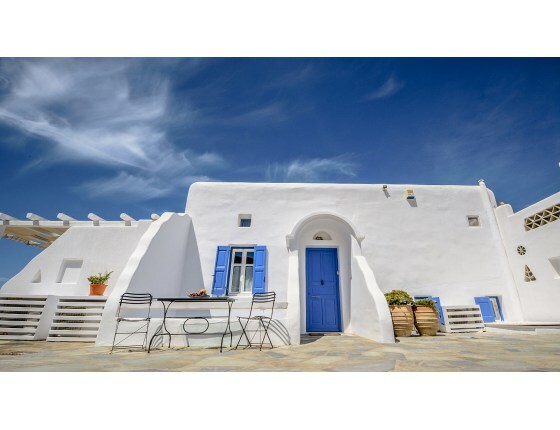 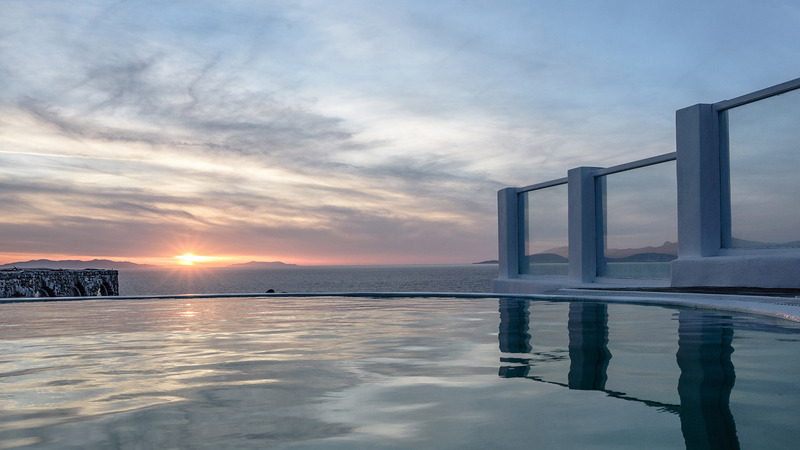 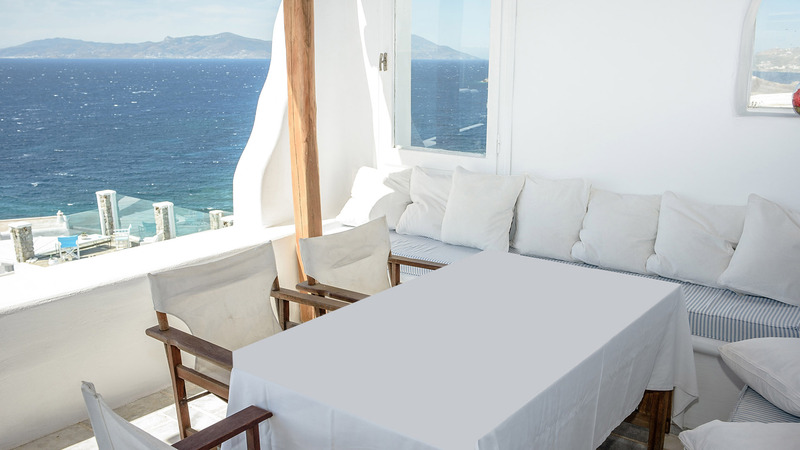 The combination of the luxury, original paintings, breathtaking views and sunsets, enormous outdoor terraces, with a big pool position Mykonos art villa as an ideal option for your holidays in Mykonos.